We spend around six years of our lives dreaming – that’s 2,190 days or 52,560 hours. Although we can be aware of the perceptions and emotions we experience in our dreams, we are not conscious in the same way as when we’re awake. This explains why we can’t recognize that we’re in a dream and often mistake these bizarre narratives for reality. Lucid dreaming is one of many “anomalous” experiences that can occur during sleep. Sleep paralysis, where you wake up terrified and paralyzed while remaining in a state of sleep, is another. There are also false awakenings, where you believe you have woken up only to discover that you are in fact dreaming. Along with lucid dreams, all these experiences reflect an increase in subjective awareness while remaining in a state of sleep. To find out more about the transitions between these states – and hopefully consciousness itself – we have launched a large-scale online survey on sleep experiences to look at the relationships between these different states of hybrid consciousness. About half of us will experience at least one lucid dream in our lives. And it could be something to look forward to because it allows people to simulate desired scenarios from meeting the love of their life to winning a medieval battle. There is some evidence that lucid dreaming can be induced, and a number of large online communities now exist where users share tips and tricks for achieving greater lucidity during their dreams (such as having dream totems, a familiar object from the waking world that can help determine if you are in a dream, or spinning around in dreams to stop lucidity from slipping away). A recent study that asked participants to report in detail on their most recent dream found that lucid (compared to non-lucid) dreams were indeed characterized by far greater insight into the fact that the sleeper was in a dream. Participants who experienced lucid dreams also said they had greater control over thoughts and actions within the dream, had the ability to think logically, and were even better at accessing real memories of their waking life. By using this approach, studies have found that the shift from non-lucid to lucid REM sleep is associated with an increased activity of the frontal areas of the brain. 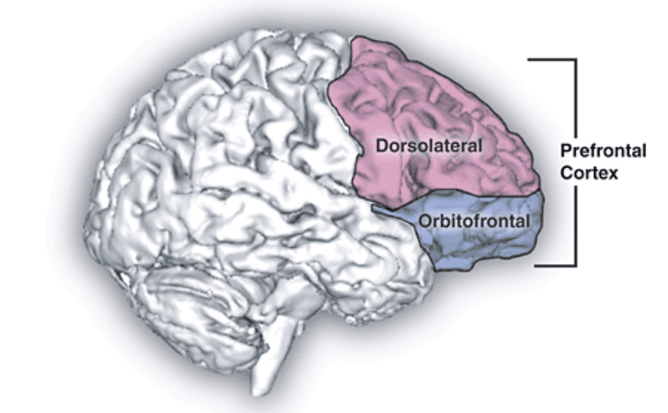 Significantly, these areas are associated with “higher order” cognitive functioning such as logical reasoning and voluntary behaviour which are typically only observed during waking states. The type of brain activity observed, gamma wave activity, is also known to allow different aspects of our experience; perceptions, emotions, thoughts, and memories to “bind” together into an integrated consciousness. A follow-up study found that electrically stimulating these areas caused an increase in the degree of lucidity experienced during a dream. Furthermore, by using eye signaling as a marker of when a sleeper is in a lucid dream, it is possible to study the neurobiological activity at this point to further understand not only what characterizes and maintains this heightened consciousness, but how it emerges in the first place. Have been a lucid dreamer as long as I can remember. Mainly flying, breathing underwater, racing through drain pipes much to small for my physical body. I cannot do it on command but can achieve lucid dreaming consistently. We would know a lot more about these experiences if they weren’t more or less ridiculed by our society’s materialistic mind-set. I think openness and critical observation plus research is a good idea. i don’t know about lucid but without fail i have vivid dreams. smoking cannabis would prevent that so i’ll refrain from that. Lucid Dreaming is an experience I have about 4 out of 7 nights a week. I literally can craft my dreams to the desired level of controlled consciousness that is written about here. I am often flying or traveling. Usually I can make people I meet nicer if they are mean spirited. I can also go into a sort of hyper control mode, where if I am in certain danger I have the ability to change the outcome of my almost certain demise. For example If I am flying a plane and it is jeopardy of crashing, I can jump out of the plane and land safely in water or parachute down to a soft area. Thereby keeping myself from awakening from a shocked dream or bad dream that would wake me. It makes sleeping a more enjoyable experience. Id love to be a part of studies like this because from what I understand, nobody I know seems to dream at the frequency or control level that I can. Everyone thinks its wierd that I can control the dream, dream so much, and can recall the exact events of all the dreams I have. I’m not sure if what I used to experience as a young child/ adult would be considered Lucid Dreaming. For as long as I can remember growing up, I had the ability to tell myself what I wanted to dream about that night. So just before I’d fall asleep I’d just lay quietly and Iagine and tell myself what I wanted to dream about….and it woukd happen. I also had some experiences with some astral projection.That terrified me as a child because I’d never heard of it and therefore, was scared of the thought of not being able to control it. I believe that this was around the time I began to lose the ability to control my dreams. I’m nearly hitting fifty years of age…. and I can honestly say…..that I don’t remember dreaming anymore. I have had maybe 7 dreams since I was a child ,that I kind of remember. That’s it though. Dear mcszlenthing–I am suspecting that you still are dreaming, but suppressing the memory of your dreams. Some psychically gifted people avoid their talent because they fear potential grief. Have you read anything by Elizabeth Lloyd Mayer, or Laura Day? There is another author, even better, but I can’t remember her name right now. “Thanks,” for the names of the authors that you’ve provided. I think I will look them up? Give.yself something to read this su.met. You must have lost the ability to dream at will due to the shock of astral projection. I too have experienced astral projection but have never seen myself from above. I observed that my consciousness was with the astral body and not with the physical body. You are not alone. I too have lucid dreams, maybe not as frequent as you have. i do control my dreams as you do,especially escaping from dangers. However, I dream one step farther. Sometimes I dream something, that becomes true. So don’t feel lucid dream is weird. What are some things to start to be able to do? Sometimes I have very vivid dreams but don’t realize I’m dreaming. I also have false awakening as well. It screws up my rest, though. Don’t like it but can’t stop it. I often know im in the middle of a nightmare, and force myself to scream or yell my name. It’s usually always the same nightmare, I can physically feel a presence holding me down. I have even woke up out of bed. The presence feels like something bad, it feels like it wants my soul. These dreams terrify me. Also sometimes I can’t tell if I dreamt about certain things or if they happened, do I sound out to lunch or what! Yeah you might want to see somebody about that..
That is sleep paralysis, Leah. It happens that I don’t experience non-lucid dreams for a year but lucid dreams (sleep paralysis in my case) pretty often, and also it can be induced after first one happens. I’m able to dream at wish. I can go to any place I manage to imagine. Although I’m always aware of my surroundings… People talking around me. But at the same time I have full control over my dream. At times I get sleep paralyses… But I’ve learned to break from it. I can have any conversation with any person I want. Though the places I go to are scary… I’m never scared. But I still have immense control over my dreaming. It has been so for the past 7 years approx. I wish I still had the ability to do so.. I believe Consciousness to be fundamental. Therefore, maybe we really don’t know what a “dream” is, or even wakefulness. Maybe wakefulness is just a lucid “dream” as well. Ultimately, it is all Experience. Whatever we really are (Consciousness), Experience is all that we have ever done, do, or will ever do through the filter of the body. I was wondering if it still is lucid dreams if in some way you can control them and then remember them almost fully when you wake up. I seem to also be able to go back to a dream at some other time and in the dream remember i have been there before and what happened then.Like a continuation of it. As a teen-ager I got quite good at recognizing that I was dreaming. First, I would inform people in my dream that I was dreaming. They might look at me and each other after I said it, but then continue on as if I hadn’t said it. Then, knowing that I could imagine anything and it would happen, I would set out on adventures with impunity. It took some effort, though, and there was no guarantee I would actually get to the place I wanted to go, or to have people act the way I wanted. Ultimately, in my “real” life I thought I was not getting real sleep. So, I stopped doing it. As an adult, I have had limited success in recognizing that I am dreaming. Perhaps, I enjoy sleep and passive dreaming too much. I would do this every night when I was around 7-10 years old would just lay quite and run my movie reel for the nite . I could start the reel where I left off the night before. It’s harder now at 56 but can still do it 3 to 4 times a month. With a study like this, you have to sort out the liars. People want to be thought of as special, and this is one area, like so called High IQ’s where people stretch the truth or just make up a story. The way to do this is have some very high tech way of monitoring the patient from home, all during the day and into the night at sleep. This is not to far off. Lucid dreaming is actually fairly rare with people and many of those who claim to be able to do it at will, have had one or two experiences in their entire life. Since the Tibetans have a special Yoga for this, to train people to be lucid dreamers, which takes months of hard work, the researchers should work with them. Understanding dreams? measuring dreams? causing dreams? I think that only day dreaming requires more study.. I have a big problem with “dreaming awake” almost EVERY NIGHT, it’s very annoying because, for an example , I see 2 “somewhat transparent” spiders dropping slowly from the ceiling onto my face, I get up shake the blankets to realize spiders don’t hang out in groups, so… it’s probably not real…. I’ve been so afraid and confused at times, standing up, going to see who just walked out my door, to realize I’m standing in the room searching for someone that is not real, I’m dreaming/hallucinating. It ONLY HAPPENS AT NIGHT after I go to bed, I have never had hallucinations during the day or when fully awake on my regular day to day activities. But it happens so often I’ve been sleeping with the lights on so that it’s easier to realize I’m sleeping, because stuff I see is kinda transparent …I’ve performed CPR on my husband once telling him “please don’t die” and crying and I wake up to him telling me he did not die. I’ve seen robots reaching with metal claws toward my face, my hands go through them when I try to push them away. I used ask my husband almost ever night “hunny what’s that?” He got used to answering “nothing, you’re dreaming babe, go back to sleep”, I now sleep in a separate room because I talk so much, and sometimes get up to look for stuff in my sleep Etc… It’s driving me crazy I’ve had this for as long as I can remember. I’m 31, female. I’m actually in bed right now, it’s 4:02am I saw a phone case flying through the air and it made me upset so I turned more lights on and I’m too annoyed to go back to sleep … I wish I could be in a study because it scares me, I’ve tried medicine and it doesn’t work. I’m terrified I could do something bad in my sleep and wake up to a tragedy or worse, not wake up at all. Waking Induction of Lucid Dreams, the WILD technique, is what I used for years to achieve lucidity. Keep the mind awake as the body goes to sleep. I concentrate on the area between and behind my eyes to maintain awareness. There’s a buzzing noise and an all-over body vibration, and then it feels as if you’re popping out, lifting up and floating out of your body. Whether anything is actually leaving the body, i.e. consciousness, soul, etc., is a question for greater minds than my own. At the point of separation, I usually fly straight up through the ceiling. I’ve had induced lucid dreams and also used totems to wake up during the dream, and both feel the same in their hyper-real quality. Examining textures of wood or stucco walls is interesting during the lucid state, as is dipping my hands in the ocean. It certainly feels as real as the waking state, if not more so. I never knew this was a big deal as it happens to me often. I thought it’s all part of what dreaming looks like. Yeah, what I usually do to activate lucid dreaming is to think of one situation–of one thing persistently before falling asleep. Most often, I end up dreaming where I can control myself freely on my dreams, but, my dream is not necessarily the same as what I originally thought when I was about to fall asleep, It’s just a random dream generated in which I can clearly control what I’m doing, what I’m gonna say and whatnot. It’s fascinating. There are times when I can do this on consecutive nights, and I get so excited that I purposely tuck myself on the bed to sleep earlier than usual. could this be some sort of defense mechanism of our consciousness? If you die while lucid dreaming, is there a possibility of death in the real world? im psychotic with one of 10000 people diagnosed with parkinsons under 50. Nightmares are apart of parkinsons. I have had the ability to realize and do whatever I want in my dreams since I was little, I was disappointed when I took promethazine for parkinsons and lost the ability. I have noticed it is coming back tho. I can actually continue a dream that I have had the night before if it is an pleasurable experience. I can also in my dream state go back in time and experience certain events in history that interest me though I am only an observer of those events. It is similar to remote viewing thought it is difficult to explain. It involves the concept of the space/time continuum where everything that has happened on earth is all happening now just in a different point in time and space. It freaked me out when I first experienced it. This is how I discovered that the image on the Shroud in Turin is actually the burial shroud of a 12th century crusader knight who died in the Kingdom of Jerusalem. He was actually an early member of the Savoy family who purchased the cloth. I remember having a conversation with him in the astral plane where he thanked me for finding him. He is easily found in the annals of history if you looked for him.. I can wake multiple times through out the night and go back to sleep to continue my dream. As you fellow lucid dreamers are speaking of changing a scary or dangerous scenario, I simply “rewind” the dream to a part that I can alter the outcome and choose an alternate path. One in particular (that repeats)is a car wreck off of a bridge. Right before I hit the water I remember I have crashed before and rewind to the bridge and as I fly off, I take an alternative route and start flying through the air in a flying convertible of some sort. I have had some situations happen in the wake consciousness ( not Děja vu) that is inexplicably weird that relates to my dreams, I do not speak of to every one. Anyway if you listen to lucid dreaming radio stations on an app, it plays melodies that have a certain ” twitch” sound in the background that, for me anyway, helps me realize when I am dreaming. At that moment it becomes an amazing travel through a sometimes controllable alternate reality. Yet there are other dreams that seem as though I am watching someone/something, like a free fly camera spectator. Keep lucid dreaming and maybe one day we will learn more about the human brain and how “real” the world we live in today is. Right after I learned to meditate (TM) over 30 years ago I started experiencing a state of sleep where I was asleep but was also awake and could hear everything around me and knew when me dog was staring at me. From then on I knew that I was dreaming and could alter dreams and wake up from them and remember everything. I’m always going to the most amazing places and being taught about technologies and things we don’t have here yet. I also started seeing the color violet on everything during waking hours and it took awhile to be able to turn this offon. Also started seeing colors around people. I can roll out of my body and this would always take effort and would include a very loud buzzing sound and also feeling. Also started to see everything as different vibrational frequencies……..I won’t tell anymore because you may already think I may be crazy but this is true. Anybody else have any of this?? that is quite interesting then cuz i had experienced i was telling what i dreamed to my husband while i was still dreaming then telling him that i dreamed that i told him what i dreamed in the dream, lol. and more interestingly, my husband told me that while he was dreaming, he realized sth was too impossible to happen or he did not like the feeling at all then he told himself it must be a dream then forced himself to wake up. wow, then those deja vu feelings are also due to the fact that we dreamed about it before? well, i know people who believe in re-carnation think otherwise. it is just fascinating!